What does Tajweed (Muslim Arabic Name) mean? 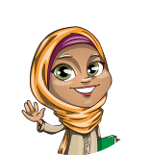 The name Tajweed (Arabic writing : تجويد) is a Muslim girls Names. The meaning of name Tajweed is " Praise of Allah, hymn. " Tajmeel تجميل Decoration, beauty, show. Tajweed تجويد Praise of Allah, hymn.